Nesbit Downs is a community of homes and located directly off of Nesbit Ferry Road in the city of Sandy Springs, Fulton County GA 30350. 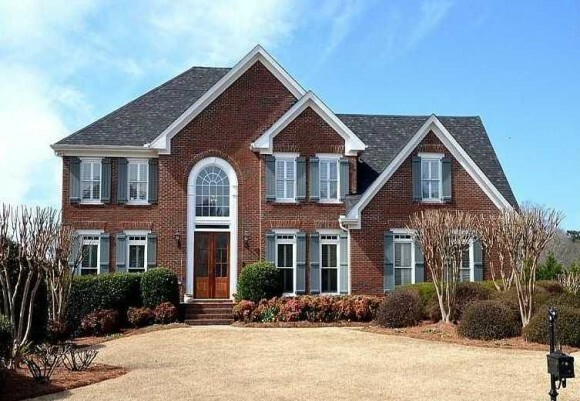 Convenient to Holcomb Bridge Rd and located just South of Horseshoe Bend Country Club. The list price range for a house is between $550,000-Over 1 Million in this Sandy Springs neighborhood of Nesbit Downs . Most of the homes are built in the traditional style and built between 1995 to 1998, in this subdivision. Homes in the community have from 4 to 6 bedrooms & 4.5 to 6.5 bathrooms. At time of post, the median sales price for a house is $643,295.00 and the average total list days on market (TDOM) is 43. HOA (Home Owner Association) fees are $400.00 a year with an initiation fee of $400.00 at time of post. The Neighborhood streets include Nesbit Downs Ct., Saddleview Run, Saddleview Court, and Summerhouse Lane. 400 North to Exit 6, go right off exit, take a right on Roberts Drive, Left on Spalding Drive (North). Follow Spalding to Nesbit Ferry Road on Left (towards the end of Spalding Drive). Want more information on this subdivision or others around the City of Sandy Springs? Simply visit our RE/MAX Real Estate website “Power Search Real Estate” page at www.NorthAtlantaHomeTeam.com.